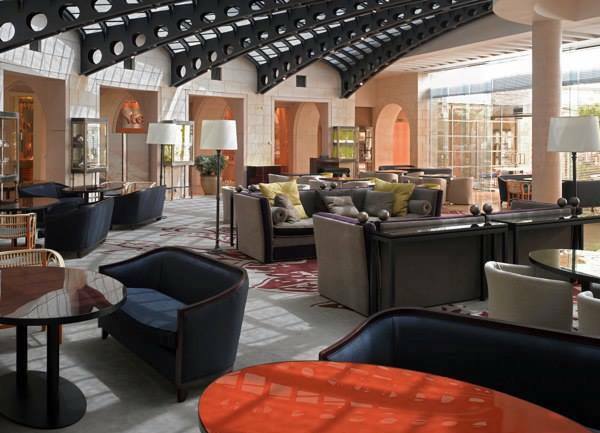 Looking for luxury hotels in Jerusalem? 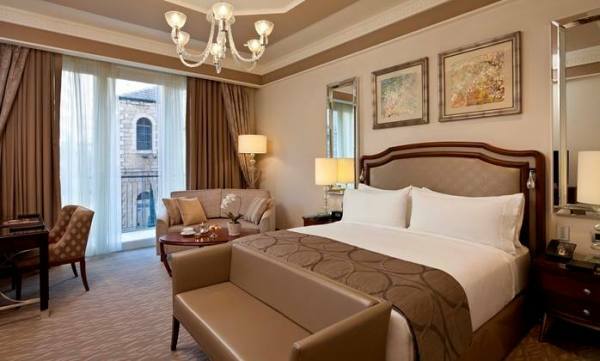 Here is our list of the 7 best deluxe hotels in the Holy City. 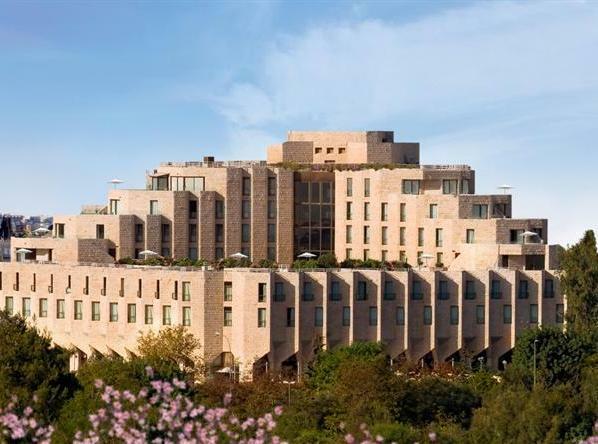 Find out what makes each of these hotels in Jerusalem special, and which one is the best fit for YOU! 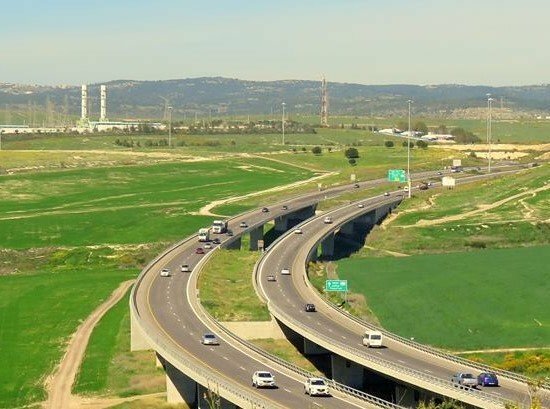 You can use the map below to find the exact location of each hotel, and its proximity to the Jerusalem tourist attractions. 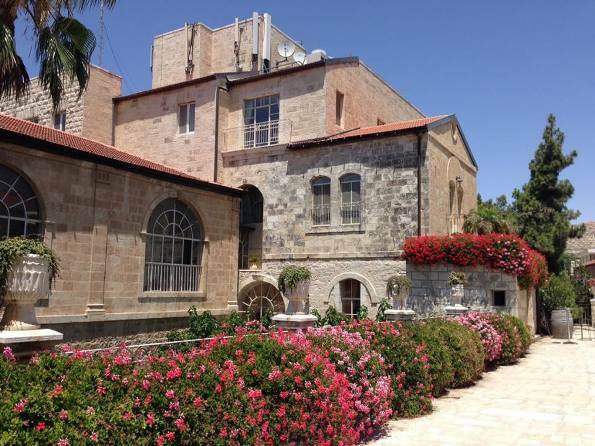 Its not just an amazing hotel, the King David is a historic Jerusalem landmark. 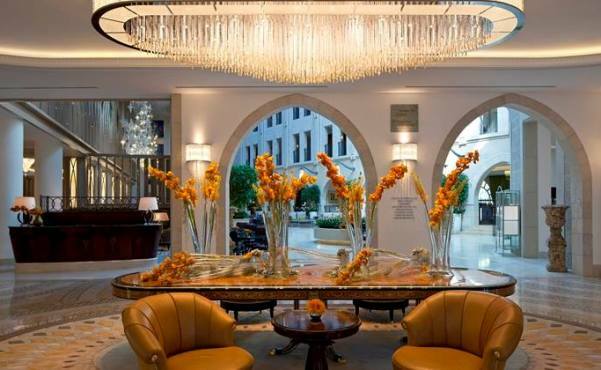 Opened in 1931 ‎and renovated in 2013, The King David Hotel is the epitome of old world elegance, but with all the modern perks ‎and conveniences we expect in the 21st century. 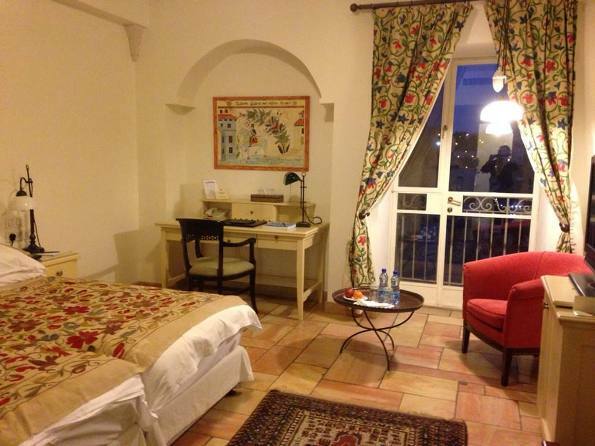 The rooms are comfortable and airy, and many have stunning panoramic views of the Old City, especially from higher floors. 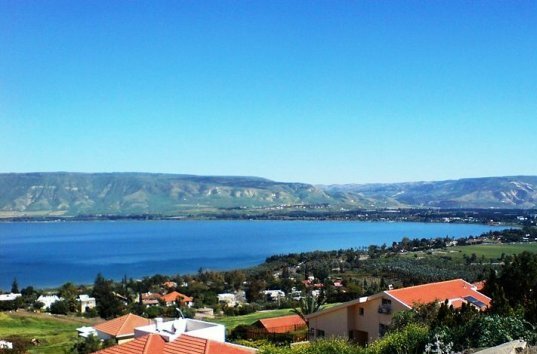 Even if you don't plan on staying here, The King David Hotel is worth a visit. 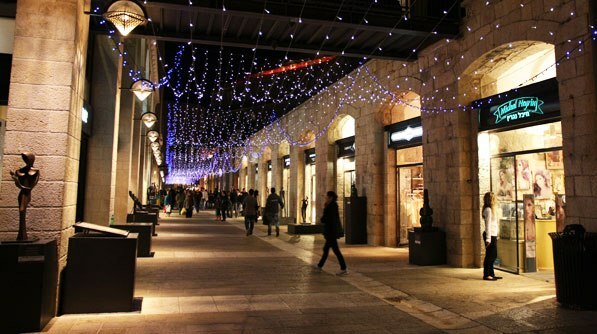 The hotel is on the restored Mamilla Avenue, a restored pedestrian shopping street. 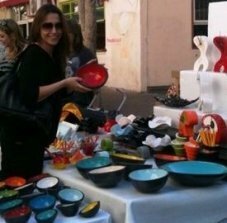 You'll find designer shops, restaurants and cafes amid historic buildings, day and night. 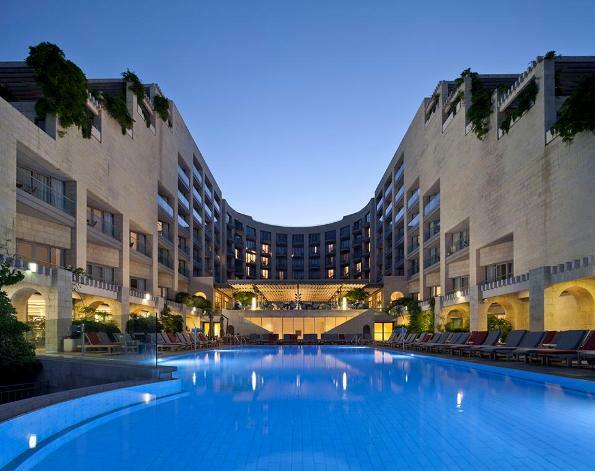 Like most other deluxe hotels in Jerusalem, the Mamilla has a wonderful health spa, indoor pool and fitness center. 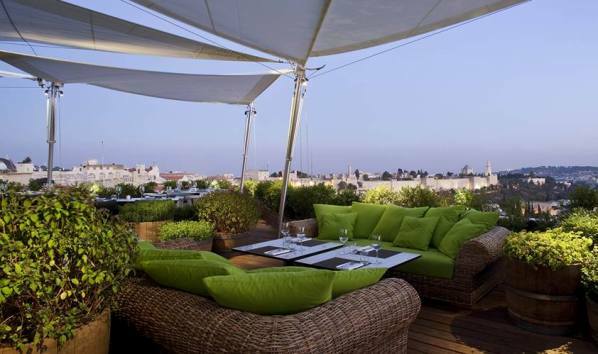 Thee Rooftop Brasserie with spectacular views of Jerusalem! 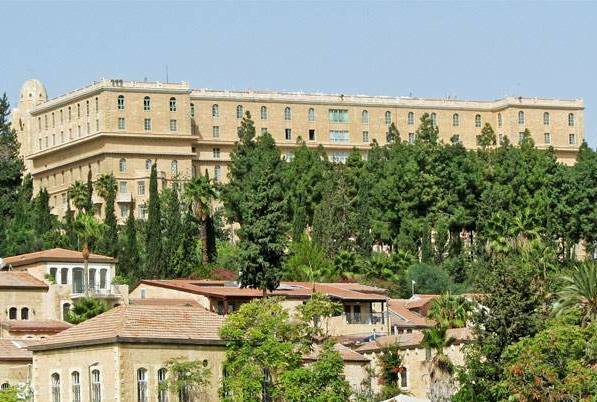 Like the King David Hotel, The American Colony is a Jerusalem institution. 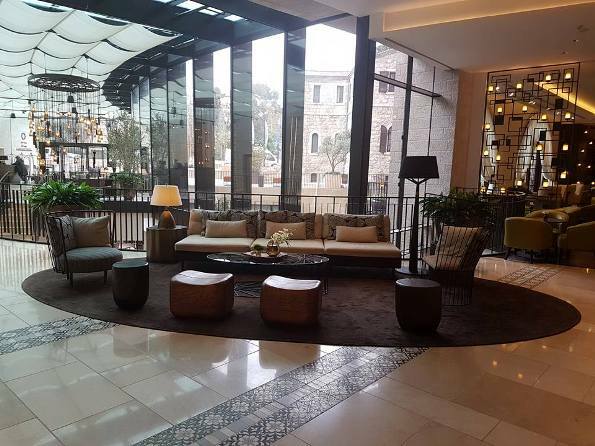 The hotel is perfect if you want to get a feel for East Jerusalem. 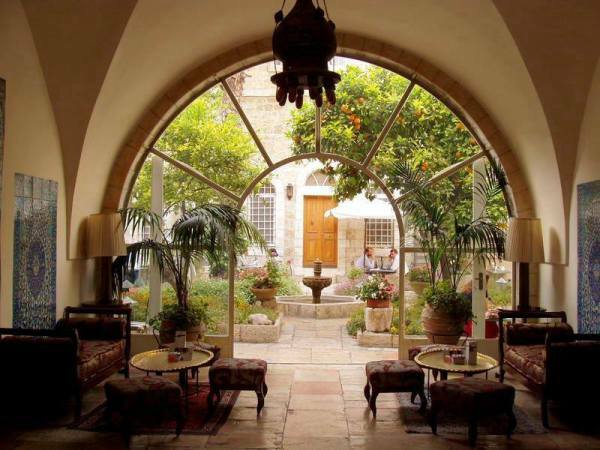 In the Courtyard, they serve British tea and scones, as well as strong Turkish ‎coffee flavored with cardamom. 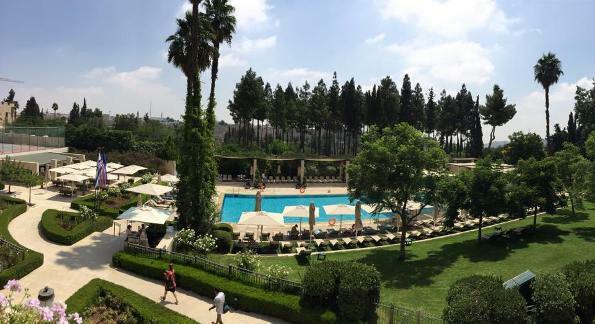 Amenities at the American Colony hotel include a beautiful, heated outdoor pool set amid lush gardens, a fitness center and sauna. 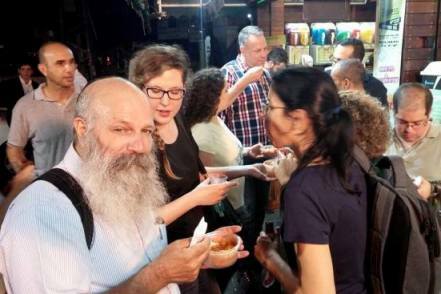 Even if you choose to stay elsewhere, we recommend a visit to the American Colony to soak in its unique history and ambience. 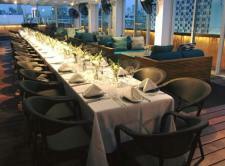 Its restaurants include a tasty Sushi Bar, and the outdoor Grill Bar by the pool. 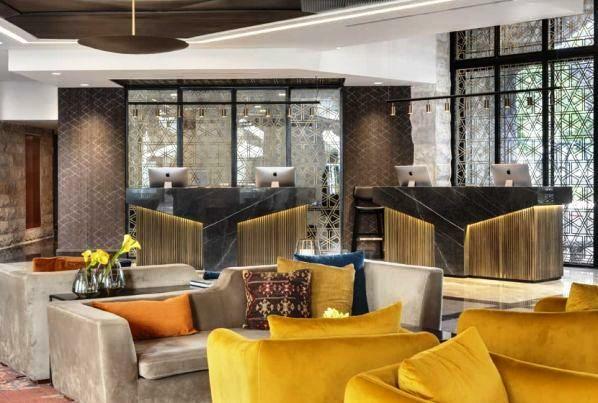 The Orient Hotel, part of the Isrotel Hotel Group is the newest luxury hotel in Jerusalem. 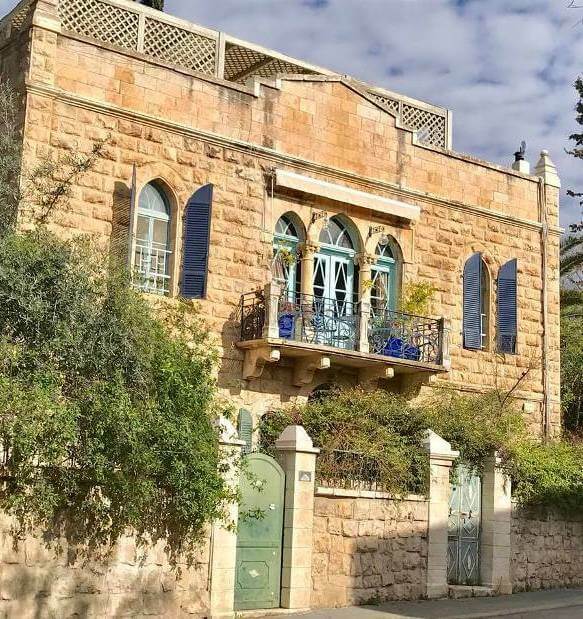 It is located in the ‎German Colony, a beautiful residential neighborhood originally settled by the German Templar community with charming buildings from the 1800's. 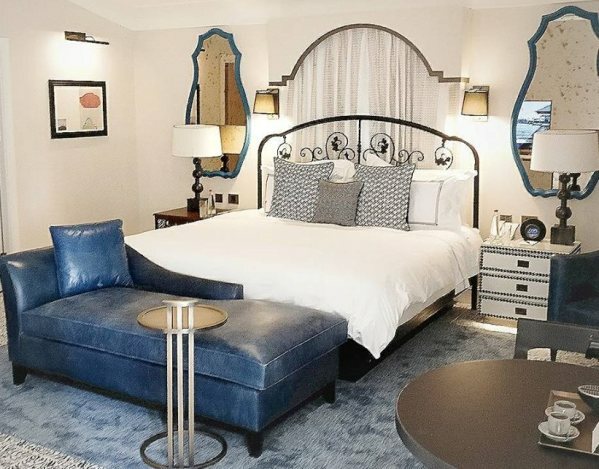 The rooms are cozy and comfortable and have king sized beds. 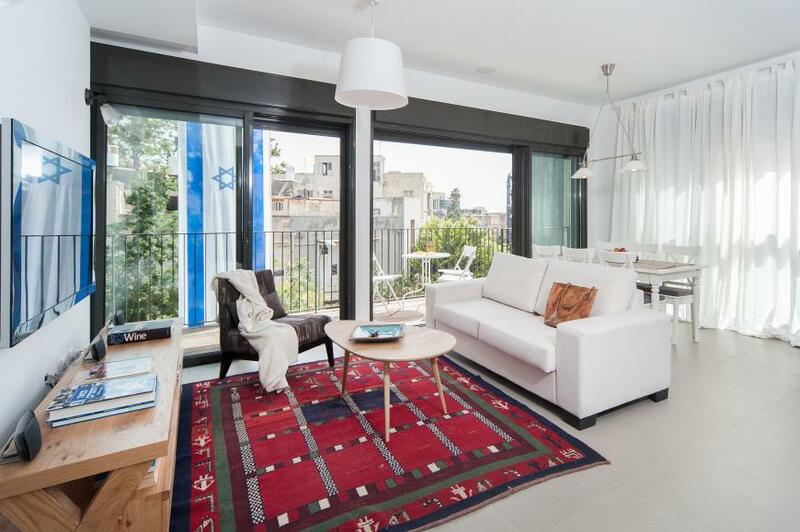 The Inbal is a 15 -20 minute walk to both Jaffa Gate and Zion Gate to the Old City. 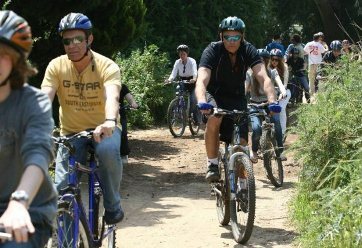 ‎It is just near leafy Liberty Bell Park, not far from the quaint Yemin Moshe neighborhood built in the 1890's with its ‎iconic Montefiore Windmill. 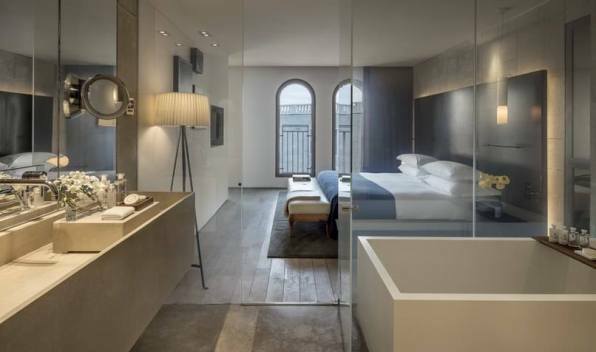 The Inbal is a 5-star hotel that feels like home. 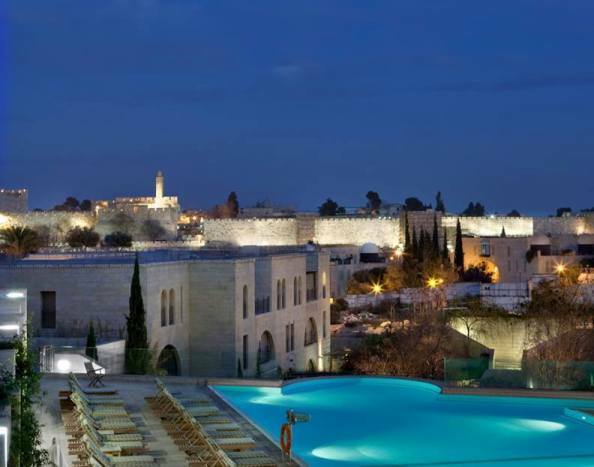 Its luxury is more modest than the other deluxe hotels in Jerusalem.